No doubt that by now, you have heard of or seen Twitter users who seem to have thousands of followers gravitating to them, retweeting and distributing their content for them. Such is the ultimate goal of Twitter; by being able to distribute content solely by tweeting and waiting for followers to pick up on it, seamless communication between yourself and millions is theoretically not out of reach. For those who are struggling with growing their audience, many have asked whether it is possible to employ certain tactics to improve the visibility of their tweets. The answer is yes, and below are several methods that can be utilized to achieve such a result. Many consider the character limitations of Twitter to be anything but “ideal”. However, it does turn out that within the confines of 140 characters, there is an ideal amount of characters to use in any tweet. Data suggests that tweets with 70-100 characters in them are the most likely to be retweeted by your followers; tweets that contain more than this are slightly less likely to be retweed but those with less than 70 characters are the least re-tweeted as a whole. Whether your status updates are pinging by iPhone, desktop or tablet, it is important to remember this ideal character range. While some think that the success of a particular tweet may simply be tied to luck, it appears that having a link in a tweet can be another variable that may boost your chances for success. Retweets have been shown to have a higher incidence of URLs in them than the overall composition of tweets, so it makes sense to include a URL to the subject or topic to which you are referring. Not doing so may fail to underscore the subject or the intent of the tweet, meaning less will empathize with your message and therefore not retweet it. Does pleading for a retweet in a tweet affect its chances for distribution? It would appear to be so, as tweets with “Please Retweet” are retweeted approximately 50 percent of the time, while tweets with “RT” or “Please RT” are retweeted approximately 35 percent of the time – both of which are higher percentages than the overall Twitterverse. By simply asking for a retweet, you demonstrate in part that the content of the message is valuable, which leads to more reading it and considering whether it needs to be retweeted. These actions ultimately lead to more people agreeing with you and therefore retweeting it to their followers. 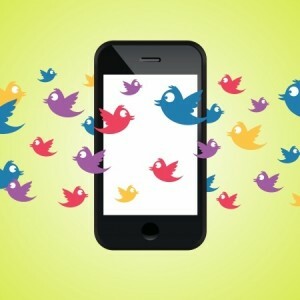 If you are pinging from iPhone or another mobile device, then you have access to Twitter 24/7. Making use of when tweets are statistically most likely to be retweeted can also help your chances in becoming visible – and there is a clear window in which this logic applies. The best time in which to tweet for retweets is between noon and 2PM, presumably because everyone is checking their feeds on lunch break. We also observed that Friday is the best day for retweets, so combining these two elements (Friday during lunch) may prove to be the most successful time window in which to tweet.